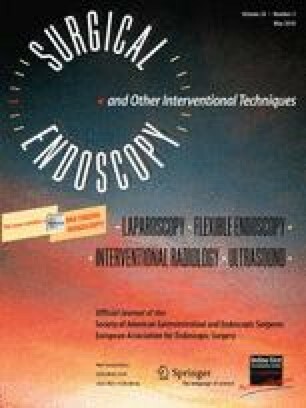 This study evaluated the effects of a three-dimensional (3D) imaging system on laparoscopy performance compared with the conventional 2D system using a novel one-camera 3D system. In this study, 21 novices and 6 experienced surgeons performed two tasks with 2D and 3D systems in 4 consecutive days. Performance time and error as well as subjective parameters such as depth perception and visual discomforts were assessed in each session. Electromyography was used to evaluate the usage of muscles. The 3D system provided significantly greater depth perception than the 2D system. The errors during the two tasks were significantly lower with 3D system in novice group, but performance time was not different between the 2D and 3D systems. The novices had more dizziness with the 3D system in first 2 days. However, the severity of dizziness was minimal (less than 2 of 10) and overcome with the passage of time. About 54% of the novices and 80% of the experienced surgeons preferred the 3D system. Electromyography (EMG) showed a tendency toward less usage of the right arm and more usage of the left arm with the 3D system. The new 3D imaging system increased the accuracy of laparoscopy performance, with greater depth perception and only minimal dizziness. The authors expect that the 3D laparoscopic system could provide good depth perception and accuracy in surgery. We thank the medical students, interns, and fellow surgeons who participated in this study. We also thank Tae Su Han, Jae Jin Cho, and Jee Eun Yoo for their contributions of time checking and EMG monitoring to this study. Seong-Ho Kong, Byung-Mo Oh, Hongman Yoon, Hye Seong Ahn, Hyuk-Joon Lee, Sun Geun Chung, Norio Shiraishi, Seigo Kitano, and Han-Kwang Yang have no conflicts of interest or financial ties to disclose.